One of my 2014 goals was to get my collection organized. Thankfully, through getting a bunch of binder cards on Zistle, getting all my current Sox cards sorted by year in a 5k box (removing the dupes), and getting my team set needs into Google Drive (more on that in some future post), I am in a position to quickly identify the cards that fill holes in my collection, upgrade cards as needed, and put the dupes aside (which I think I will use to get my great nephew into card collecting). There were a total of 29 cards in the envelope. So let's see if there is one or two I need, or maybe we beat the odds? I didn't need the Kessinger. That isn't to say I didn't keep it, though. It was a far nicer version than the creased copy I had in my teams set, so I call that card a need. I am almost done with the '91 Ultra set, and the Pasqua was a dupe. Believe it or not, I have a lot of junk wax needs, one being that Karko. So far - 2 needs and 1 dupe. Rob included 11 total 1990 Topps cards. I only needed Hillegas, Pasqua and Karkovice. 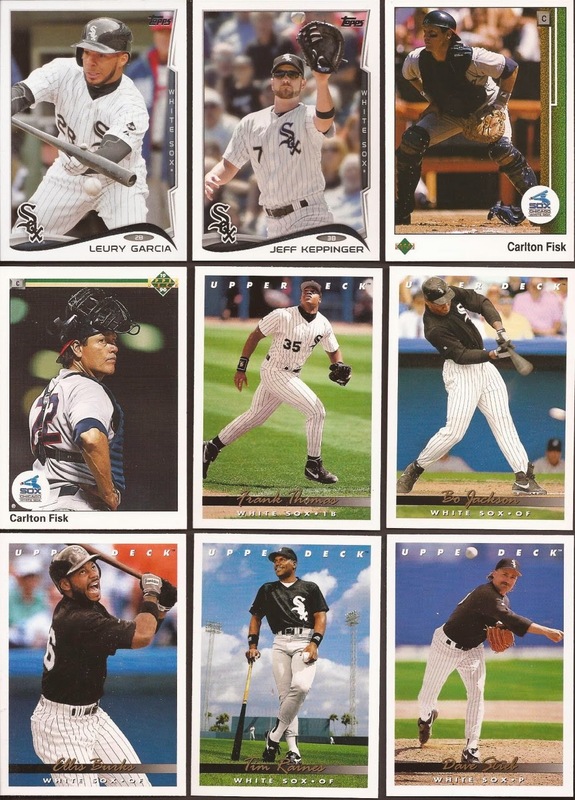 However, I always need a rookie card of the Big Hurt, so 4 needs out of 11. Running total: 6 needs and 8 dupes. Mish-mash of 2014 Topps, and some early UD releases. The only Garcia I have is in my bunting binder, so this card went to the 2014 team set. Keppinger is a dupe, as are both of the Fisk cards. 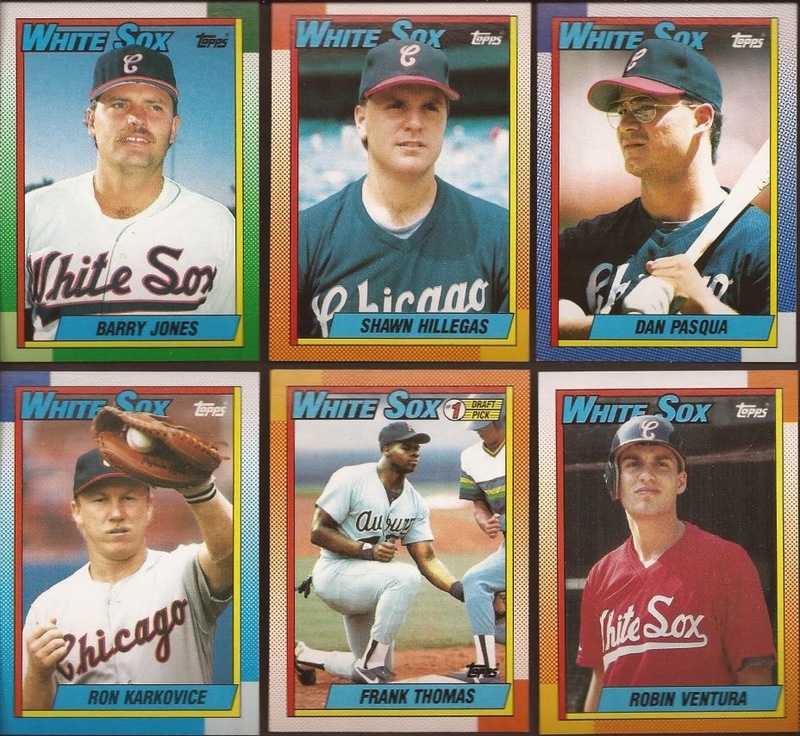 Each 1993 UD cards (damn, what a great set) were needed in the Sox box, filling team set openings. Running total: 12 needs and 11 dupes. Last scan from the envelope. The only piece of cardboard I didn't need was the mini Baines. I bought maybe 5 total packs of Heritage prior to 2012, so all the Heritage cards I have in that 5000 count box came from you folks. So the final total: 29 cards sent - 17 cards added to the collection. 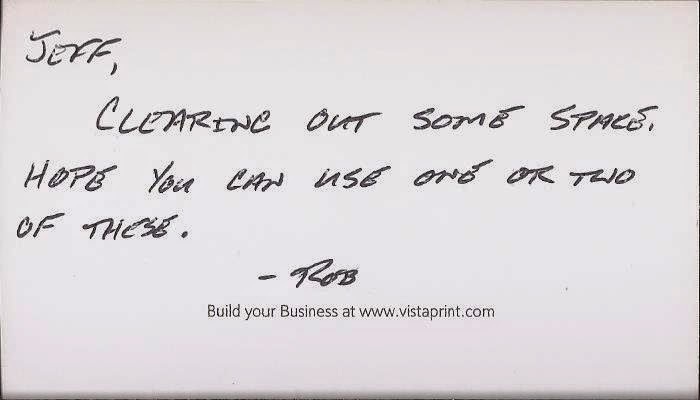 Far, far better than the "hope you can use one or two" comment from Rob. Thanks a bunch for the cards. I hope when I get my envelope out to you I can add at least one or two new cards to your collection. Glad you got the cards ok and they filled some holes in your collection. Merry Christmas!